Quite some time I was given a pair of the Giro Manta R to test out and *snob alert* I must admit I’d initially wanted to go for a shoe at a much much higher price point shoe but was counselled by the Giro rep that these would be much better suited to my purpose – rocky riding with lots of clambering over glaciers and mountains with the odd wade through a river. 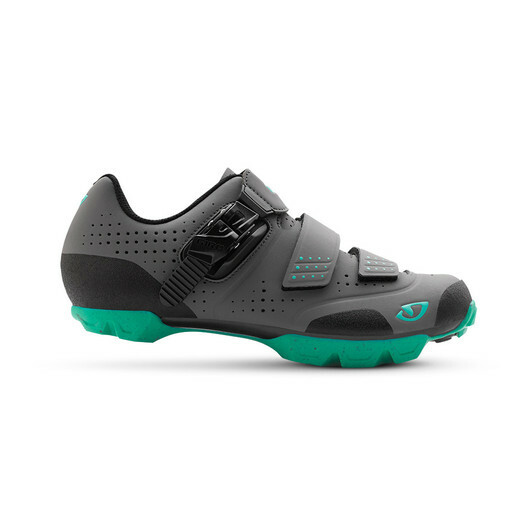 It’s probably just me – accustomed to ludicrously priced road shoes – but £129 now seems pretty modest for a pair of cycling kicks. I was never one for spending obscene amounts of money on designer shoes (although do have a few pairs for those special occasions) but fast forward a few years and I’m regularly using shoes that cost more than a pair of Jimmy Choo’s. What the….? Anyway back to the Giro Manta R’s and their amazing value for money. 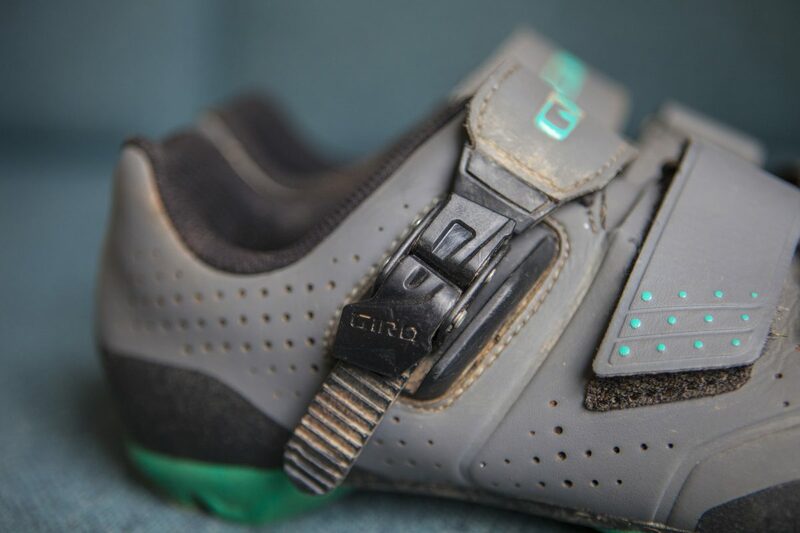 In the past, I spent years using using Sidi MTB shoes on the road as they’re comfortable, durable and easy to walk in. When I was working as a courier I would ride around in them all day, so the Giro’s had some pretty big shoes to fill. It was immediately apparent how good they were for the price, feeling like a much higher end shoe and looking damn fine too. The Microfiber exterior has a soft, matte finish that holds up really well over time and hasn’t stretched or degraded. With a quick wipe after riding the shoes have stayed looking new for the last six months. The support around the heel is comfortable and secure and the ratchet top and Velcro bottom straps give you plenty of adjustment. The footbed is decent, the toe box roomy and the shape overall feels spot on. 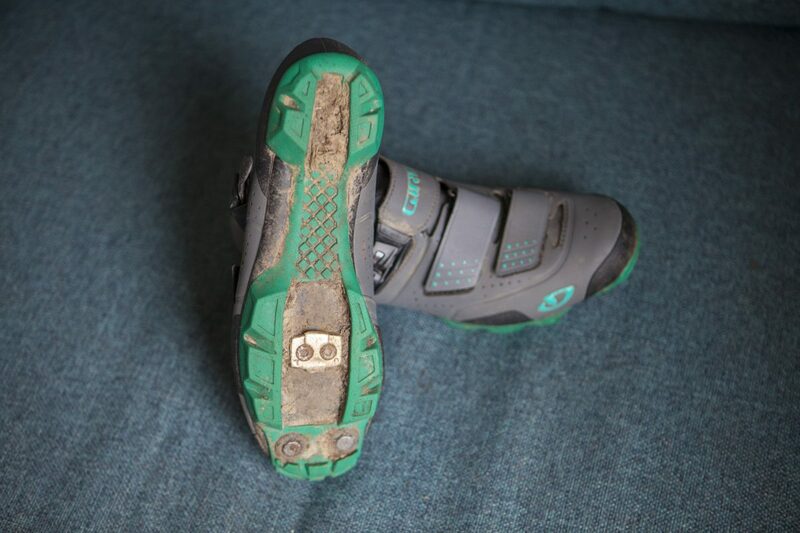 They shoes feel solid to ride in with enough stiffness but not at the expense of comfort. I was not sure if they would not provide enough support when riding compared to carbon super expensive shoes but I am happy to say I was totally wrong. 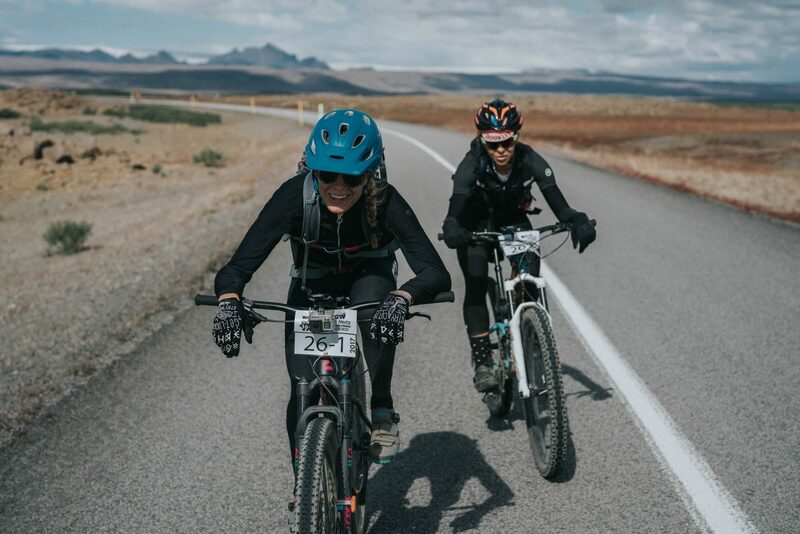 I never had any pain underneath my foot (or anywhere else for that matter) even when racing for over six hours a day, three days in a row – to be honest my feet were the only part of me that didn’t ache by the final day of the race. 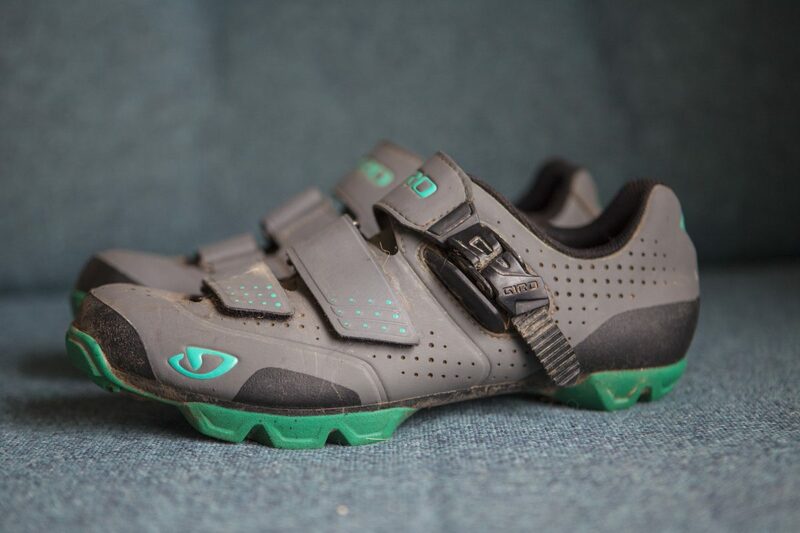 One key things I noticed about these is the warmth compared to other cycle shoes. Though the upper is meant to be breathable, it’s not that vented but the upside (for those of us in cold, rainy England) it that it keeps the wind, rain and dirt more away from my feet more than other winter specific shoes do. The rubber toe cap prevents scuffs. I raced the last cyclocross season in these and they preformed tremendously. Even caked in the thickest mud I did not have a problem clipping into my pedals and they kept my feet warm and almost dry in the muddiest and wettest conditions. 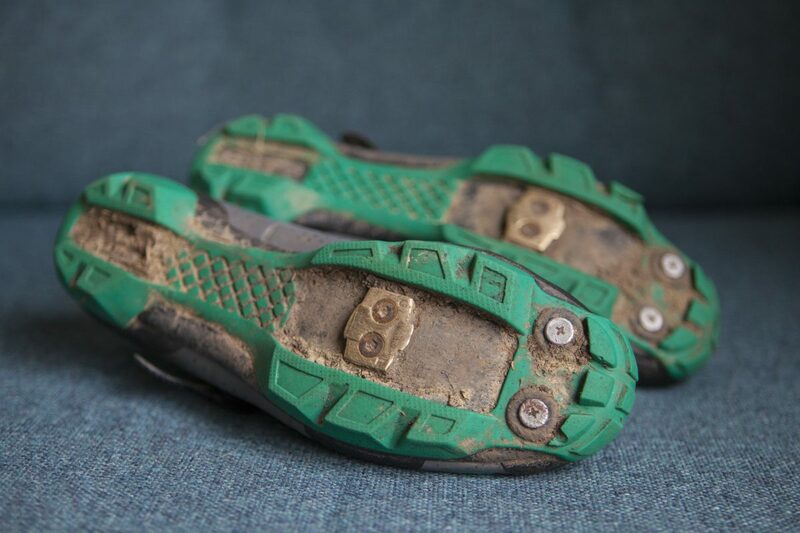 The sole grips well and feels very stable so you can run and hike in them when needed, navigating roots, rocks and mud. You can also add rubber toes spikes for extra grip. 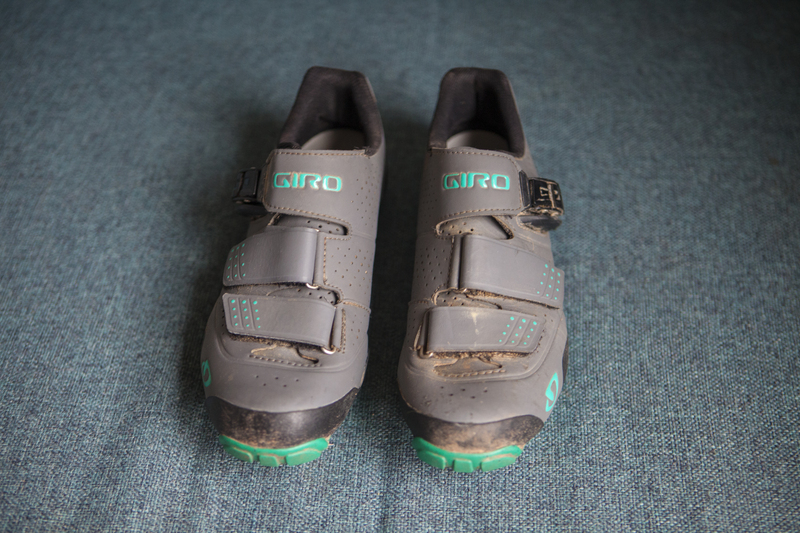 If you are looking for a quality pair of cycle shoes that you can walk and run in comfortably (though not marathons, obviously), that can take all the abuse you can throw at them and will last you for years then look no further than the Giro Manta R’s. I don’t think you can go wrong with anything Giro, personally! I’m using their Synthe helmet and been considering getting more of their stuff. This article is probably a sign.